REV UP YOUR KITCHENS, ladies and gentlemen We have now officially entered the year’s biggest apple pie-making zone: Thanksgiving week. These next few days are your last chance to experiment with a new apple pie or practice your favorite recipe one final time before you make your pièce de résistance this Thursday. Make sure you make enough to have some left over for breakfast Friday morning, but remember a pie’s greatest strength and weakness: it must be eaten straight away. For tips about how to take your pie from crust to oven, view the accompanying video featuring Andrea Darrow, Green Mountain Orchards, Putney, Vermont. AT THE EASTERN STATES EXPOSITION (“The Big E”) this September, we staffed our New England Apples booth for the entire 17-day fair, succeeding in selling bushels of five-inch apple pies, sometimes at the rate of 135 a day! As you may guess, we fielded a myriad of apple pie making-questions, especially on the apple varieties that produce the best results. Imagine my excitement, then, when a self-proclaimed expert pie maker stopped by to “talk shop.” I was dough in his hands as he related his secret tips for a flaky pastry crust, a perfect mix of sweet and tart apples to use, and, most exciting of all, an answer to an all-consuming question of mine: What is your favorite apple pie? He answered without hesitation and with the enthusiastic support of his entire extended family: “Blackberry-Apple Pie.” So, here goes, as best as I can remember it. In large bowl, mash together blackberries, sugar, and lemon juice. Add apples and toss. In small bowl, combine cornstarch, 2 T sugar, cinnamon, and nutmeg. Stir this into fruit mixture. Assemble pie as usual and bake at 400º for 30 minutes; reduce temperature to 375º and continue baking for 40 more minutes or until pie juice bubbles thickly out the steam vents. *His apple choices: 2 McIntosh, 2 Northern Spy, and 1 Baldwin. In addition to his, my favorites include: Jonathan, Macoun, Cortland, Rome, Gravenstein, Winesap, and, if you can find them, Rhode Island Greening. 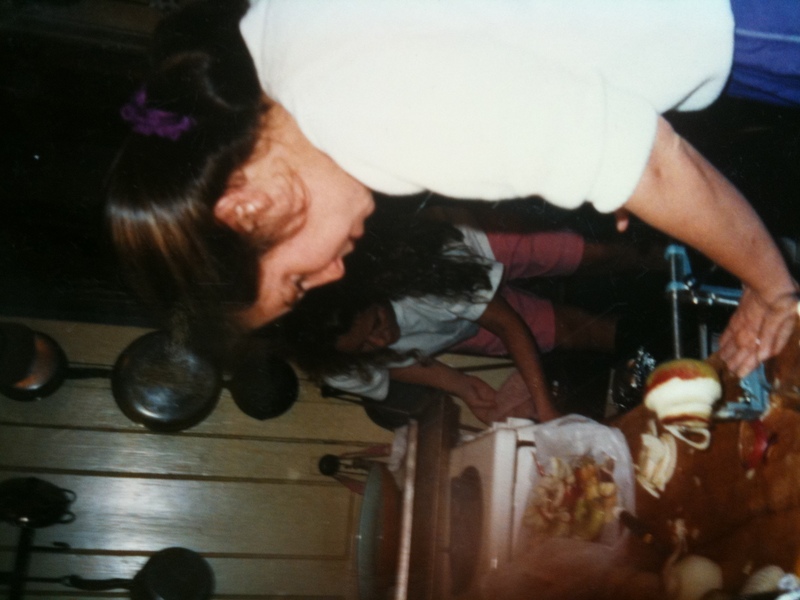 NEARLY 20 YEARS AGO now, Cindy Keating of Southampton, Massachusetts, and three of her friends got together in Cindy’s kitchen for an afternoon of apple pie-making. They had a great time, the conversation and flour were flying. But the big hit was the corer and peeler Cindy had clamped onto her counter. It was so much fun to use that one of her friends refused to relinquish it, and just kept peeling apple after apple. No matter. They ended up with four delicious apple pies by the end of the day, and an enduring memory. Here’s Cindy’s recipe. She can’t recall where she found it, but has made it many times since. The sour cream, she says, coats the apples and suspends them in a delicious, custard-like filling. Blend together with pastry knife or fork. Place apples in pie shell. Combine flour, sugar, and salt in a bowl. Add sour cream, egg, and vanilla. Beat until smooth, and pour over apples. Bake at 425º for 15 minutes, then reduce heat to 350º and bake for 20 minutes more. Increase temperature to 400º. Add topping to pie and bake for 10 minutes more. WE’VE TOPPED THE CENTURY MARK! 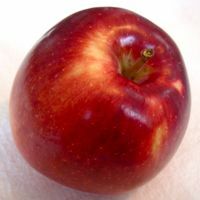 There are now photographs and descriptions of more than 100 apple varieties on the New England Apples website, newenglandapples.org. 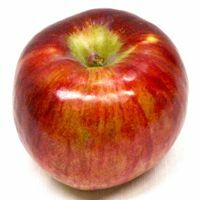 You’ll find a wealth of other information about apples and New England orchards, as well.